I dont want to be putzing about on the 'tinterweb the whole time I am off work... but I know I will be on now and again. I'm going to post a few links every-so-often of things I find. Hope you like. First off we have a video from Greg Laswell that includes everyone's favourite Hobbit - Elijah Wood. Great song. Great choreography. Thanks to hello francis. 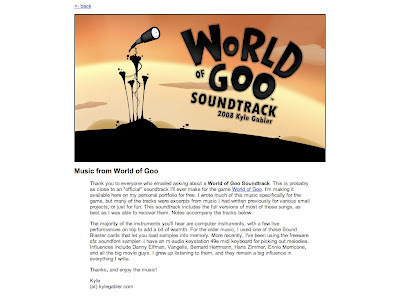 Next we have the World of Goo soundtrack from Kyle Gabler - I haven't played the game... but was inspired by the way the creator of the game has compiled the soundtrack and given it away for free... as added content for fans. Nice touch. The music is charming... ripe for turning into ringtones! 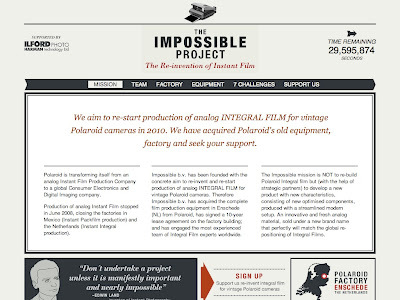 they are fans of polaroid doing something other than stockpiling film... they are doing something for their wider community! Its a fans for fans thing. I've never used a polaroid and thought I might never get a chance... this gives me hope. Nice! Kudos to everyone at the project for doing something about it! 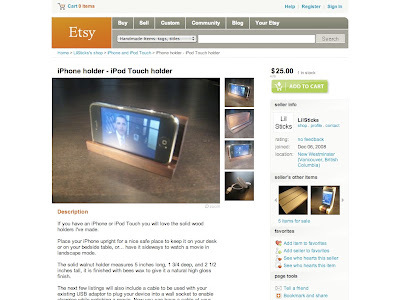 Next up is a sweet wee find from etsy - a wooden iPhone / iPod Touch holder. Nice for watching movies or for recharging at night... would make a fab display for the Flipclock. 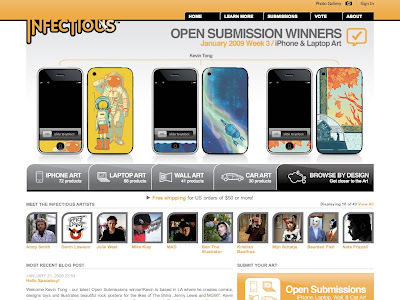 Still on an iPhone tip... infectious.com do fab vinyl sticker artwork for iPhones, laptops, your walls and even your car. I like the idea of having a matching iPhone and MacBook sticker thing going on... especially something like this by JP33 which has a matching laptop sticker. Awesome! 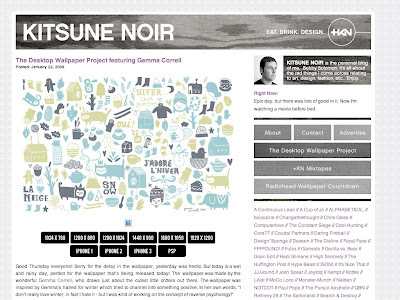 Gemma Correll's wallpaper for Kitsune Noir is just lovely. The project seems to just get better and better... and Gemma's work is inspiring in its details. I love the idea of the DWP and wish I could replicate the idea with a hint of bergamot - make some of the pics available as wallpaper for laptops, netbooks, iPhones, Blackberries, PSPs etc. Its something I am going to work on, me thinks, while I am off. 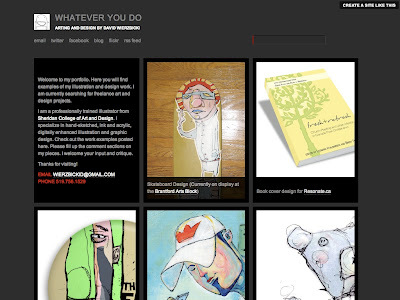 Lastly, we have the artwork of David Wierzbicki :: his skate deck is awesome... and his illustration of DJ Shadow is first class. Going to be watching his career with great interest! Follow him on twitter and be inspired.